Hair Length: front 5.5", top 4 - 6.75", crown 6.75", back 4.5", sides 3", nape 2.25"
This luxurious wig is short length with a modern blunt cut fringe. A classic, but fashionable style. The full lace cap let a wig is so lightweight although it is so long and you just might forget you put it on! 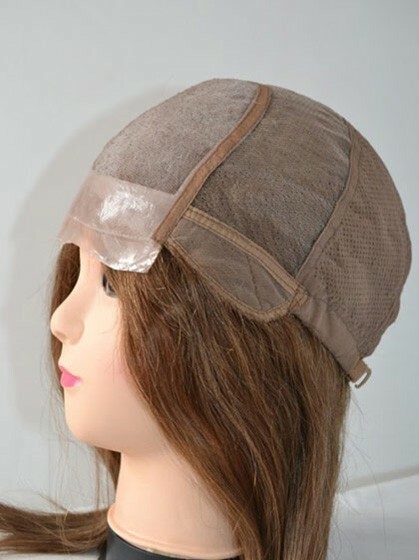 I thought these cheap human hair wigs were well worth what I paid and found the quality was high as well. The full lace cap was a great added bonus to this.